I’m a huge fan of wings. Truth be told, I probably could eat my weight in wings. I love the flavor of traditional buffalo wings, but I can’t handle the heat. So one of my favorite ways to make wings is sticky Asian wings. I love the combination of the sweet and tanginess from the soy, apricot and lime sauce. 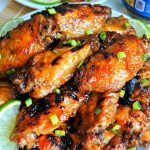 These wings take a little preparation and are best when marinated overnight. Also, don’t skip the step of basting and turning the wings over while baking. I promise the work involved with cooking these wings will be so worth it! The flavors of the soy, apricot and lime sauce make ordinary wings into extraordinary! These gluten-free Asian Sticky Wings will be perfect for game-day, your next party or served over rice for dinner. If you love Sticky Asian Wings try my Gluten-Free Apricot Chicken for dinner. 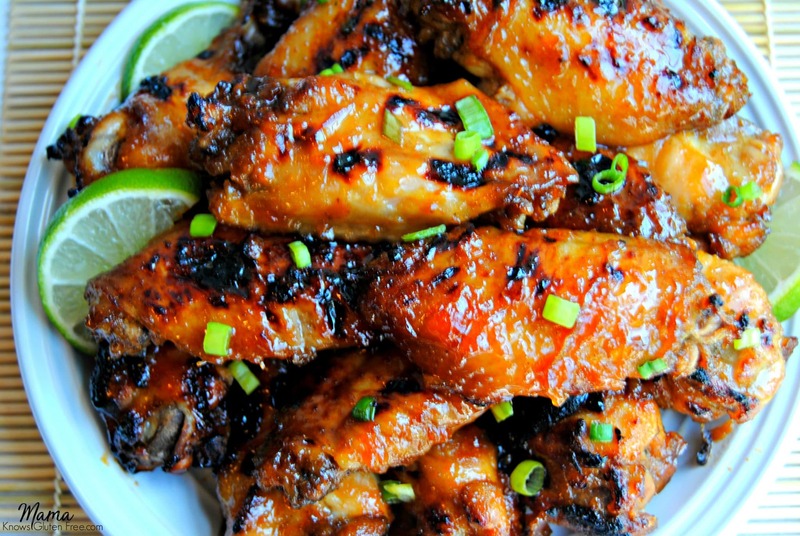 Gluten-Free Sticky Aian Wings are a perfect balance of sweet and tangy. The flavors of the soy, apricot and lime sauce make ordinary wings into extraordinary! Perfect for game-day or your next party. In a large resealable plastic bag add the marinade and chicken wings seal and turn the bag a few times to coat the chicken. Refrigerate overnight turning occasionally. Before cooking drain and discard marinade. Line a large baking pan with foil. Spray a baking rack with cooking spray and place into baking pan. 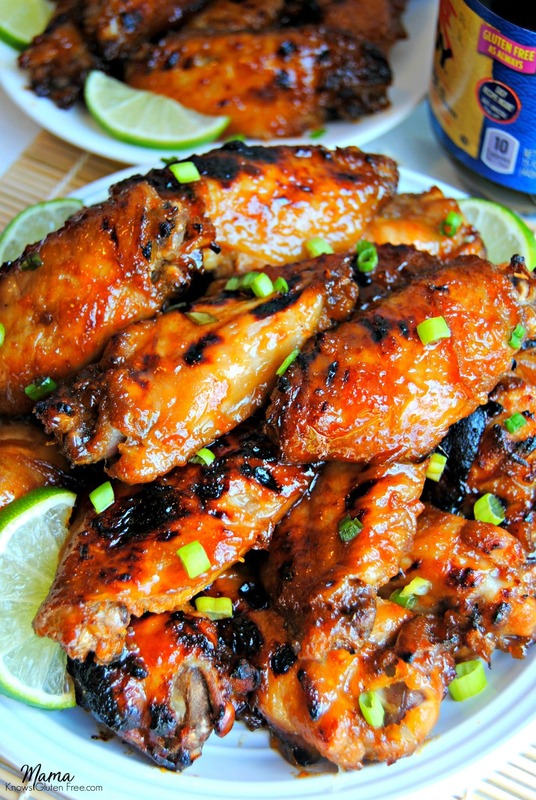 Place the chicken wings on the rack and bake for 15 minutes. In a medium saucepan combine the ingredients for the wing sauce. Stir to fully combine. Cook over medium heat and bring to a low boil. Simmer for 2 minutes. After the 15 minutes of baking, baste the wings with the sauce. Bake for an additional 40 minutes, turning over the wings and basting the wings every 10 minutes. Take wings out of the oven and turn on the oven to broil. Broil wings for 2-5 minutes until lightly charred.